Are you looking for the best Windows 10 desktop computers so you can get one for yourself or a few for the office? We curated some of the top picks in the market. 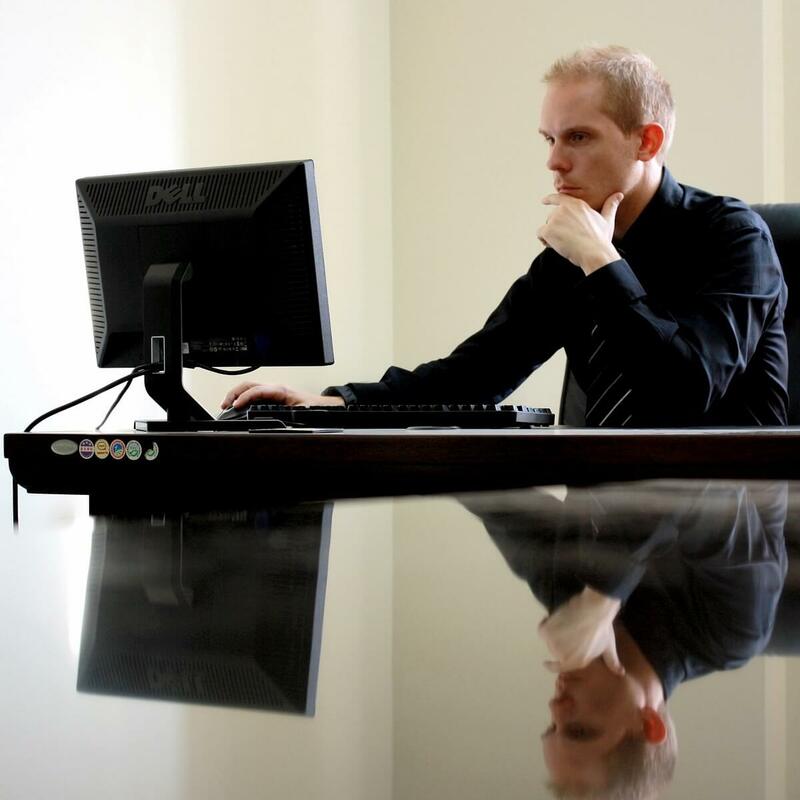 If you thought the desktop computer is going away anytime soon, well, it just may have the proverbial nine lives because it is still much more effective compared to most laptops. We checked out what’s out there just before the year ends, and here are the top deals on the best Windows 10 desktop computers you can get right now. What are the best Windows 10 desktop computers to buy today? 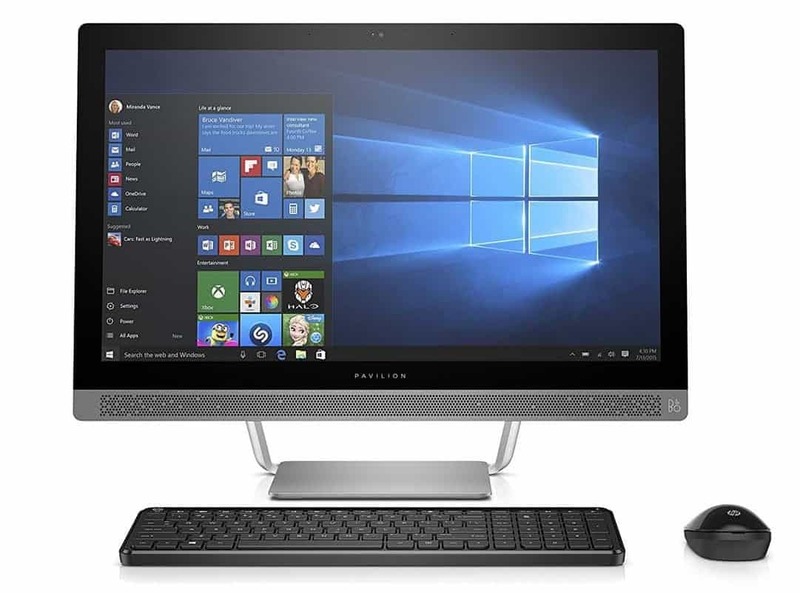 This desktop computer not only comes with pre-installed Windows 10 Home operating system, but also an Intel Core i3-7100 processor, 8 GB memory, 1TB 7200 RPM, and SATA3 Hard drive. Besides these key specs, this computer is fitted with Bluetooth, USB 3.0 ports and USB 2.0 ports, one HDMI port, a VGA port, Ethernet and Wi-Fi capability, a digital media card reader, plus a 1-year labor and parts limited warranty. You also get a keyboard and mouse so you can effectively multitask away and get your stuff done. 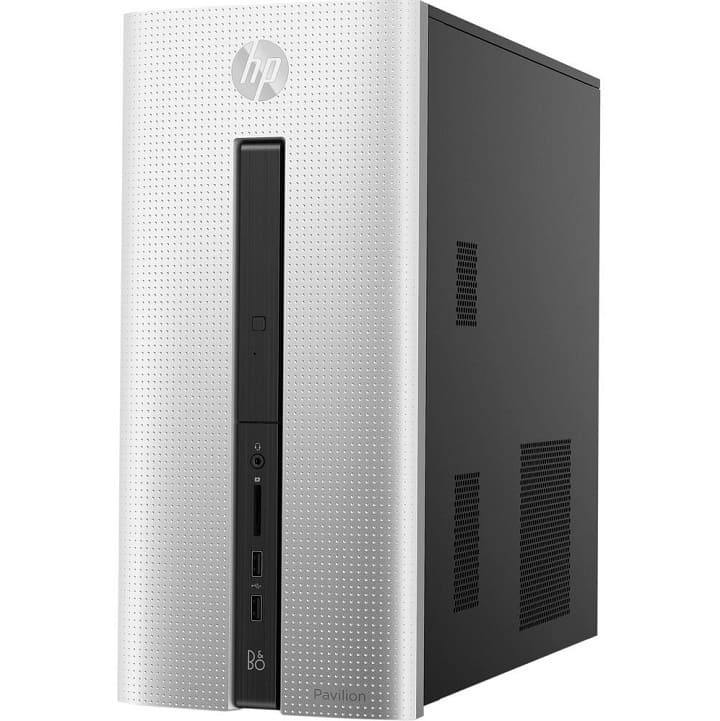 The 7th generation processor delivers great performance for this desktop computer, so you can do so much with fast response and huge storage capacity. Its wireless LAN technology lets you enjoy high speeds that are up to three times faster than previous technologies. With the HDMI port, expect only crisp quality visuals even when viewing your favorite flicks on a widescreen monitor or TV. Memory is always a big deal, but the Acer Aspire doesn’t disappoint. Its 8GB memory delivers a superfast computer processing experience so you can brace yourself for more time as this computer helps you save on waiting time. What’s more, it has a sleek metallic finish design, plus you can access the customer support from Acer Care Center easily. This is an Intel Core i3-4170 dual core processor desktop computer. Besides the usual USB, HDMI, and VGA ports, this computer also comes with amazing USB powered external speakers with 5.1 surround sound capabilities so you can enjoy your favorite tunes as you work away. Other important specs include 6GB SDRAM memory expandable to 16GB, 1TB 7200RPM and SATA hard drive, a media card reader, memory stick, and DVD burner. It is also fitted with Bluetooth and Wireless LAN so you can easily access high internet speed and connectivity. 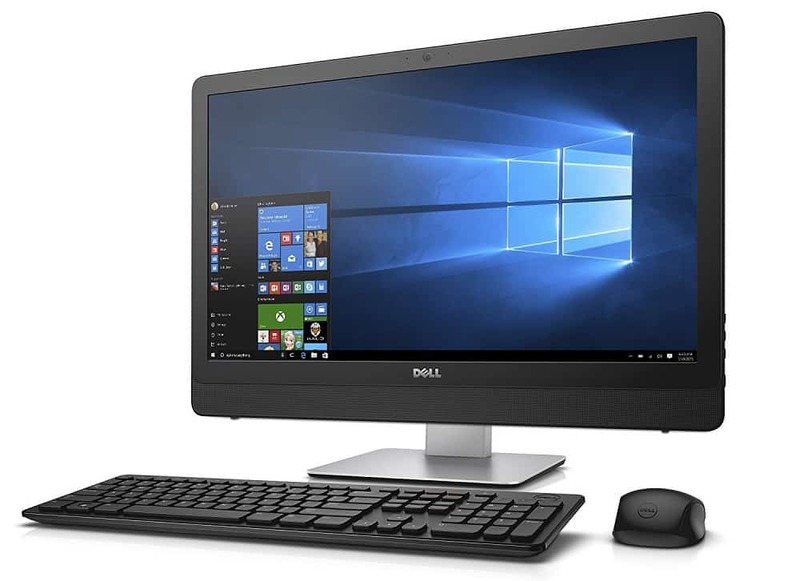 This desktop computer is touted as one of the best Windows 10 desktop computers in the industry. It has a stunning, full HD, 24-inch wide display, responsive performance, webcam, and integrated speakers – totally worth the purchase. If you’re big on entertainment, this is your best bet for a Windows 10 desktop computer. Its features include a four-in-one multi-card reader, Ethernet capability for seamless interaction with other devices, built-in speakers with stereo delivery, crisp HD webcam for clearer visuals and videos, 500 GB hard drive and optical disk drive so you can store so much away and it still will deliver powerful performance. This is another wonderful desktop computer that comes with a pre-installed Windows 10 Home operating system. Its specs include 8GB SDRAM memory, dual-core processor, touch-enabled widescreen, DVD writer, 1TB 7200RPM SATA hard drive, and a backlit, edge to edge display. When you hear Bang and Olufsen are involved in the audios, you know you’re up for a rich audio experience, as this computer comes with dual front-firing speakers, audio tuned by B&O. 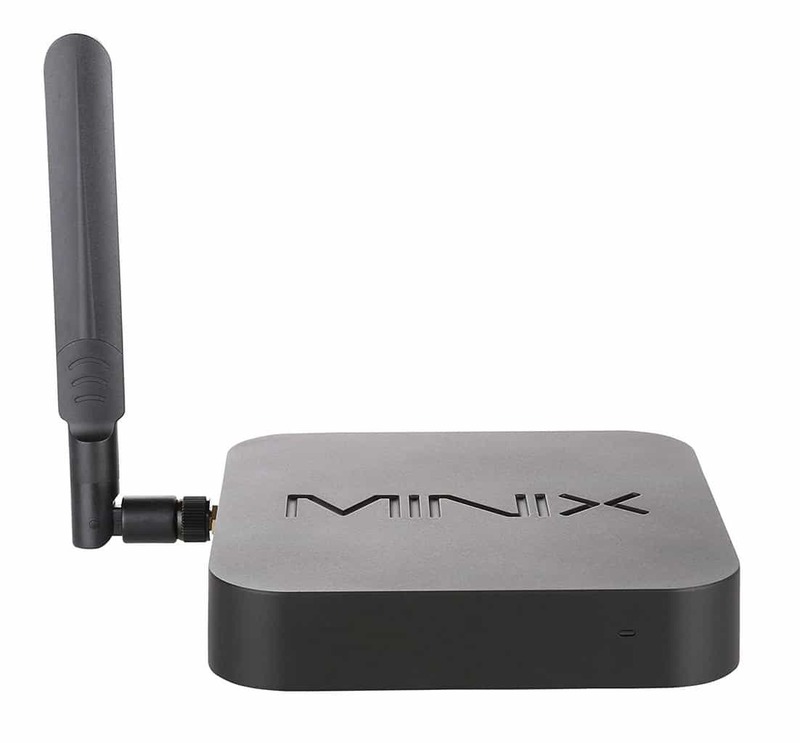 You also get to surf without cables so you can connect wirelessly to other devices and your printer, plus it also has Bluetooth for wireless connectivity to enabled devices as well. Its built-in webcam lets you enjoy video calls, and its media reader allows you to easily transfer your digital media files. What’s more, it comes in turbo silver color and an amazing sleek finish to it. This little desktop computer is compact but very powerful. It is equipped with Intel’s Cherry Trail Quad-Core processor, so it may look like it will fit in your palm, but it will exceed your expectations. It comes with excellent, lightning-fast performance that is every computer user’s dream, plus dual-band Wi-Fi and Gigabit Ethernet for top range connectivity. Its thermal design ensures it operates on low temperature, while efficiently conserving energy with the perfect balance. 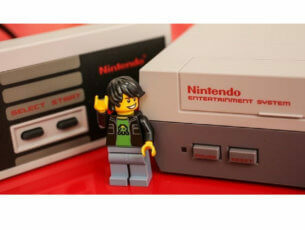 It comes with HDMI and Mini DP output display ports, and 4GB of DDR3L memory. It is also pre-installed with Windows 10. Shuttle XPC Slim is a desktop computer that has an unusual design that we really like. It supports both Windows and Linux. So, if you’re looking for a dual-boot computer, you may well add XPC to your list. This device sports a fanless design thanks to its shuttle exclusive cooling module. You won’t experience overheating issues even after long hours of usage. 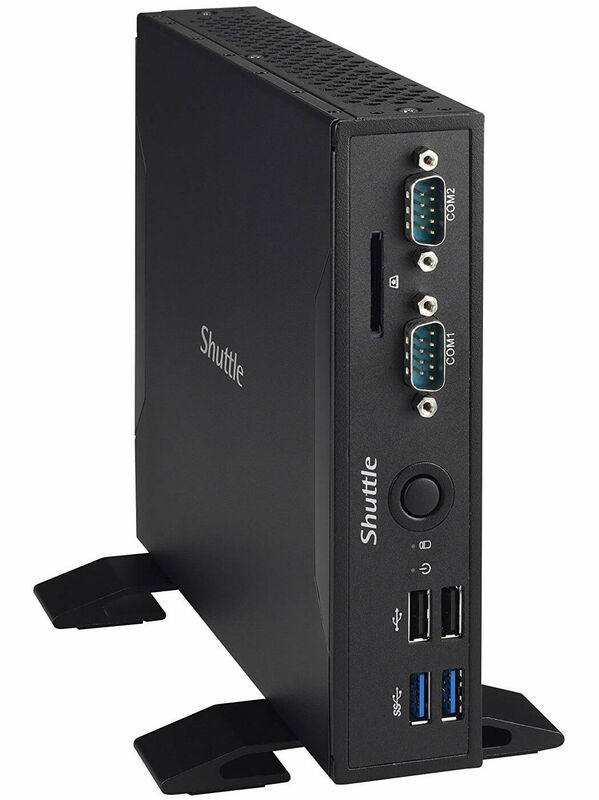 There are actually several Shuttle XPC Slim models available on the market — each with a different hardware configuration and design. For the average users, we recommend the Shuttle XPC Slim DS67U5 and Shuttle XPC Slim DS67U7 models. 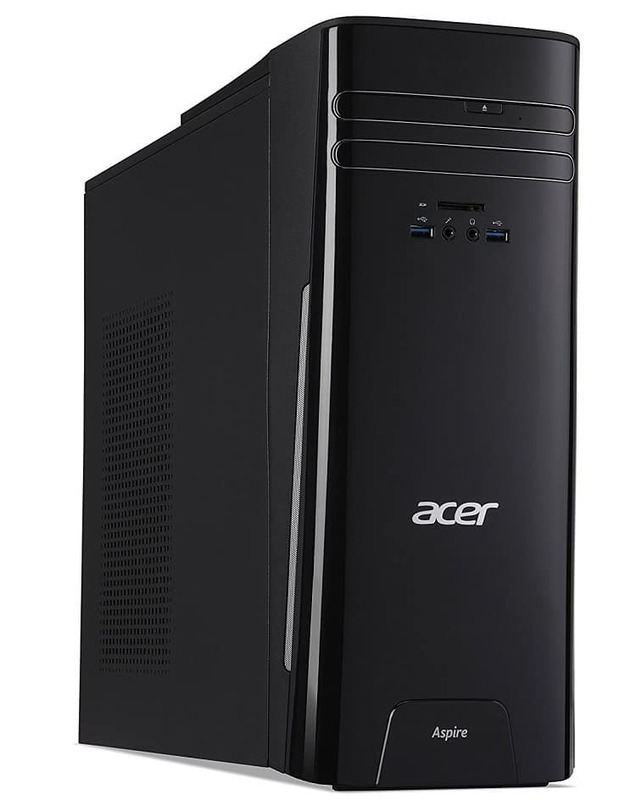 The former is powered by an Intel i5 CPU, while the latter is equipped with an Intel i7 processor. What to consider when looking for the best Windows 10 desktop computer? You want to get a computer that is both fast and powerful in terms of performance. With a fast processor, you can get a lot more done and save on time as well. Check on the cores of the processor, as this will determine its performance when handling multiple tasks simultaneously. This is a must-have in any computer. The best Windows 10 desktop computers definitely have enough storage capacity to cater for data storage. Since you won’t be moving around with this often, then storage is a big deal. You can also have Windows 10 installed on a solid state drive so you can boot, read and write at faster speeds, but this is an extra cost altogether. By now, most computer users on Windows must have taken advantage of the free Windows 10 upgrade from older versions, which by the way ended, meaning either you get a desktop computer that comes with the OS pre-installed, or get a genuine copy and install on your own. In any case, this is about the best Windows 10 desktop computers, so you want to get on the train already and enjoy the user-friendly nature of this OS. The display is another must have because you’ll be staring at your screen for all your computer usage needs. This is especially so for graphics, but also while working. Look for a good monitor with at least 23 inches or 24 at most. Check for color, display accuracy, and contrast, plus the type of screen technology used on the monitor – IPS panels are preferred as they deliver a fantastic experience, but they don’t come cheap. This is important not just for gamers or designers, but also for you who wants to use your desktop computer for other things involving graphics, besides you regular typing tasks. This is because the graphics card caters for any visuals or videos on your computer so get one that will deliver the best quality. Let us know if you found your favorite among these best Windows 10 desktop computers by leaving a comment in the section provided below.